Words that have contrasting meanings are called antonyms. She literally examined the prescription. literal – actual, or obvious meaning; word for word, or verbatim. figurative – suggested, implied by the context, or not obvious, metaphorical, or imaginative. Does not go beyond the strict meaning of a text. Often reveals a viewpoint or shared vision from the references adjacent to the text. pro -- to propose, or speak in favor. Land accumulated as the result of another area's erosion Land lost to erosion of soil from water or wind. a change, modification or altering in order to make viable, useful, or more widely understood. To revise, remodel, adjust or get used to a situation. A process of adjusting to fit a condition or coping with a novel, unforeseen situation; conversion, acclimation, habituation, acculturation, assimilation, accommodations, integration. a complete change of function. Evolutionary biologists use the term exaptation to describe a commonplace occurrence in evolution: a limb or organ evolves originally for a particular function, but later on fulfills a very different function [*]. To fulfill an entirely unforeseeable role effectively. [*Gould, S. and Vrba, E. (1982) Exaptation - a missing term in the science of form. to display, express or show emotions. Concerning moods, feelings, and attitudes; emotional temperament. a mental action including an ability to think, cogitate (think deeply about something), reflect on, or seriously consider. to break into its constituent parts and explain. to bring together different parts and make sense. According to Aristotle those products of human design and intent consist of art and hence the creation of artifacts and artifice belong to an entire class of things that do not preexist due to cosmic or earthly forces. For example bronze is the product of smelting copper and tin. An imitation, not real, created by design. According to Aristotle those products of cosmic, tectonic or earthly forces of climate, weather, fire or flood are made by the conditions of material existence. For example pebbles are worn down rocks due to the process of water running over boulders, or beaver dams are constructed by rodents in order to secure a place to live. Authentic, real or produced by the order of things. Term used to conceptualize the biotic community or the entire collection of living and once living participants in any place from a functional and dynamic perspective. While generally referring to vegetated associations of terrain, specifically the term refers to the non-living, or inorganic conditions of existence, such as light, water, &substrate. More densely populated places dominated by commercial, transportation and industrial facilities in addition to residential and recreational uses of land and resources. Regions largely dominated by rural residential, agricultural and forestry patterns of land-use with a low density of population. Sparsely settled places are called countryside. pro -- to propose, or promote. Con -- to oppose, or disagree. Literally means coming together. The likeness that different things have. Qualities that are similar to one another. Literally the separating of one into two distinctly different paths. The contrasts that make two or more things separate and unlike. Time elapsed between distinguishable signals measuring how long something takes to occur, or how long it lasts. For example night lasts 12 hours on the equinoxes. How often a regularly occurring or irregularly occurring incident, disturbance or event is observed to happen. An example is waves breaking on a shore every few minutes. Any amount divisible by two. Implies equality is a larger sense of the word in the vernacular expression: "even Steven." Those amounts that are not divisible by two. (÷ 2) Something anomalous that does not conform to a pattern or expected type of behavior. In terms used in evolutionary biology it refers to the comparative ability of an organism to survive and reproduce; thus contributing genes to the gene pool of the next or subsequent generation. With respect to the differential survival of organisms, families of related organisms or species this term suggests that chance or optimal timing plays a significant role in what lineage's survive and which die out. generate -- to prosper, or flower, initiate. degenerate -- to decline, or atrophy, decaying. Idea, ideas, idealism. Image, imagine, imagination. Something that one thinks or knows; a thought, concept, notion or mental awareness in the form of a vague impression or precise scheme, plan or model. From eidolon or eido, [Greek] éidos, appearance, form, idea. Referring to mental concepts that constitute the character of things. A stable eternal reality beyond the merely sensible, Plato thought of eide as the supra sensible reality and so the cause of our knowing anything. They exist beyond explicit proof. To adhere to a set of beliefs because of their inherent verity or revealed reliability. An imitation or representation of a person or thing; the visual impression of a thing reflected in an opaque surface such as a water body or mirror. From imago, past participle of [Latin] imagnum: or the manifestation of mental powers to view from a fantastic perspective. A likeness or picture of a person or place or thing held in the mind as well as the eye, as opposed to the actual thing represented. A vivid or graphical description. To portray, delineate or represent in such a way as to capture the impression, symbolic representation or actual likeness of things through the use of evocative, vivid and descriptive techniques. Fanciful or unreal as in an imaginary friend. Inherent in the meaning, tone, and context of the words and phrases in the surrounding paragraph. Clearly contained in the actual expression of words based on the meaning of the words or phrases used. moving -- dynamic, filled with motion and changing according to some observable condition. ceonotic, is derived from kinesis, implying movement, or mutability and change in form, function and conditions over time. fixed -- not moving, unchanged, settled in such a way as to display no observable change. Not variable, unvarying, immutable, constant in the sense that the status remains the same under any number of different conditions. landed-- owning land or real estate, propertied, or favored by wealth in having title to the ownership of an estate or land. landless -- serf, peasant, tenant farmer or renter who may utilize, but not own any real estate, land, or residence. lugubrious-- mournful, being unhappy, glum, sad, melancholy, sorrowful. lighthearted -- jovial, jocund, happy, exuberant, blithe, optimistic. Having changed in behavior or form in a manner that is injurious, risky or otherwise a problem for an individual or a species. Having changed in shape, form, function or behavior that allows a creature or species to better compete for resources, acquire a nest, or otherwise forestall threats to its existence. Having only one dominant supplier of goods or services in a defined market. Such as salt, sugar, petroleum, air traffic, insurance, or deliveries. Having only one purchaser of goods, products or services offered by a number of providers. Such as government purchase of missiles or biological warfare weapons. Referring to a debate in ethology, anthropology, biology and psychology about the relative importance of inherited capacity to the success of an individual, family and species. The opposite side of the debate in ethology that suggests that it is the circumstance of the upbringing, the social milieu and hence the environment that has a major influence in the success of a creature. Literally and specifically in chemistry refers to anything possessing carbon compounds in its molecular structure. Generally refers to the living or dead components of the world or places that together influence organisms and species. Loosely referring to certifiable foods according to state inspection standards for its ingredients and means of production. Literally referring to those things that lack carbon in their structural make-up or composition. Generally means the non living, or never having lived portions of the cosmos, world or place. The inanimate conditions of existence. Used by Darwin to distinguish biological from chemical and physical conditions of existence. Overt-- in the open, observable, seen. Covert -- hidden, under handed, unseen. one who files a complaint against another party in civil or criminal court. 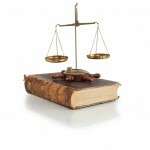 One who is charged with a crime, tort, violation, or some offense in a court of law. The protection of any estate, property, artifact, or investment, from actions that would destroy the historical significance, functional integrity, commodity value, aesthetic amenity, or useful enjoyment of the entire range of parts contributing to the benefit of the whole. Protecting those people who depend on the resources for their livelihood and edification. The quality of that protection or sanctuary. The wise use of natural resources to promote the greatest good for the largest number of people over the longest amount of time. To keep from harm, decay, destruction, or dereliction through the long-term maintenance, investment, and care of the estate. The stewardship of those resources that belong to all citizens because of their essential character; water, energy, wildlife. common essay resolving this conflict in diametrically opposite approaches. Anything that has a deed of title showing exclusive ownership. anything, place or item used and needed by all. Those things that are social and related to all persons who participate in common activities, attend common events or frequent places that are set aside to any or all users. Anything that is owned or exclusively used by individuals or in some way is not accessible to large numbers of other people. May refer to property, knowledge, actions or places. qualify -- to make the mark, a favorable performance, win a position to compete. disqualify -- to cut out, find in error,cull from a position or status, lose out. The formal aspect or property of any persons, places or things which has some worth, appearance, behavior or function that can be distinguished, described and compared for purposes of assessing its relative significance. For example the the elegance of one car's appearance compared to another. The measurable amount, number, geometrical form, volume, mass, velocity, electrical charge, or otherwise accountable characteristics of persons, places or things. Something that is measurable, accounted for such as the number of people in a car. to take back or to change in order to improve or enhance the use of something. Human agricultural or industrial transformation of property that creates value in land by filling in wet areas of the sea, lake or river's shorelines or by bringing water to parched or dry (arid) lands in a desert. To return to its original condition. Returning land lost to erosion, development, or other form of modification to its natural state. Recreating a set of conditions whereby natural processes can again dominate the course of changes in any landscape, or area. sign -- an identifiable pattern, or stream of information based on regularity of grammar and syntax. distortion -- the random dispersal of disturbances that form no coherent or recognizable pattern and hence interferes with the broadcast image, sound or photons. In areas of policy interpretation, based on a close reading of texts such as the constitution or laws, adherents to this approach read legislation very narrowly to circumscribe what any decree means. To rely very closely on the overt meaning of a text, phrase or meaning based on explicit authority of a document. In relation to legislative analysis and policy interpretation, those who base their understanding of a document on the context, implications and reasonable demands in the exercise of discretionary authority when acting under the authority of a legislative, administrative or constitutional text. Interpreting a document reasonably to apply to a broad range of implied powers. With respect to plants and animals, the original condition or in "feral" animals a return to the untamed state of their pre-domesticated ancestors. 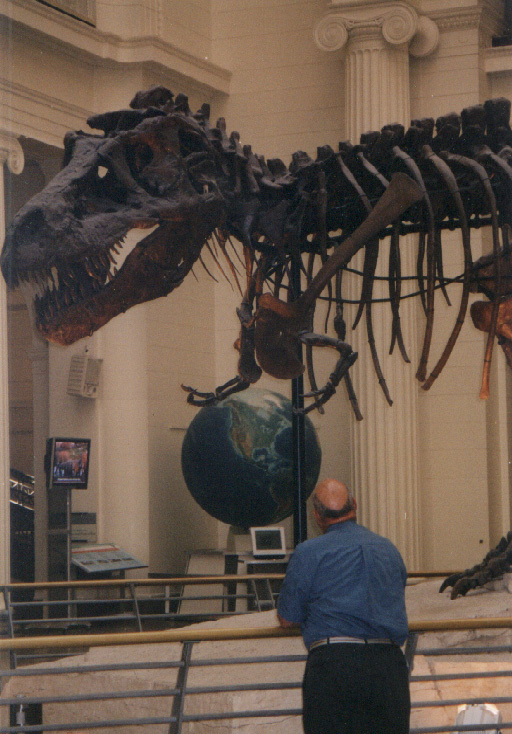 A T-rex [ Tyrannosaurs Rex] skeleton named "Sue," at the Field Museum in Chicago. [JVS. 2003]. Tame means subject to artificial selection such as cows, horses, or corn. The term implies, docile or controlled, dependable. Bred for some economic or esthetic purpose by means of artificial selection. Wild suggests not bred for desired traits, as in the sense of plants and animals that are conditioned to natural selection as opposed to cultural influences that spread only by or through artificial selection. subject to changes that are either predictable or unpredictable. Unchanging in that something is always what it is described to be. wax -- to grow or accumulate in size. The beliefs a person or society have about the world in relation to the actual conditions of existence which may be contrary to those beliefs. (defined) A set of unquestioned assumptions that are asserted as a dogma, or constant set of precepts. Unexamined assumptions people take for granted. Some quantity in Algebra that is sought through a formula even though the amount is not --as yet-- determinable. By extension the doubtful or inexplicable occurrence of something, place, or person. Proven, determined, understood or in other ways comprehended by some means or method of verifying the existence of something, place, or person. The features or dimensions of a structure that can be explained. One who professes such a strong belief by acting vigorously to defend or project their views in the world or community. A true-believer, a dogmatic and challenging advocate of a position that is unswayed by arguments to the contrary. One who does not avow, believe or accept the articles of faith or faith-based beliefs of those followers may espouse of a sect or tradition . A freethinker who otherwise questions the authority on which many widespread assumptions are accepted by others. begin & end, advocate & abrogate, pro & con, implicit & explicit, generate & degenerate, overt & covert, signal & noise, learning, types of. begin & end, advocate & abrogate, pro & con, implicit & explicit, generate & degenerate, overt & covert, signal & noise.